Are you a graduate in the STEM stream? Ever wondered how a Master’s degree in Management would Benefit your career? Wonder no more! 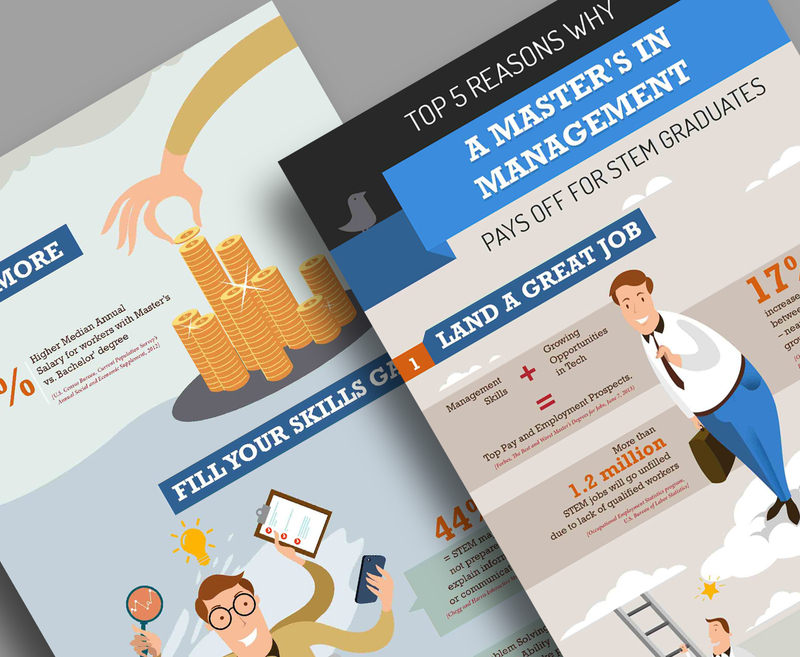 This infographic was commissioned by Tufts University to explain what a Master’s Degree in Management can do for STEM graduates. As a visual aid to storytelling, we’ve created a character meant to represent the generic STEM graduate, recently thrown into the rigors of the workplace.